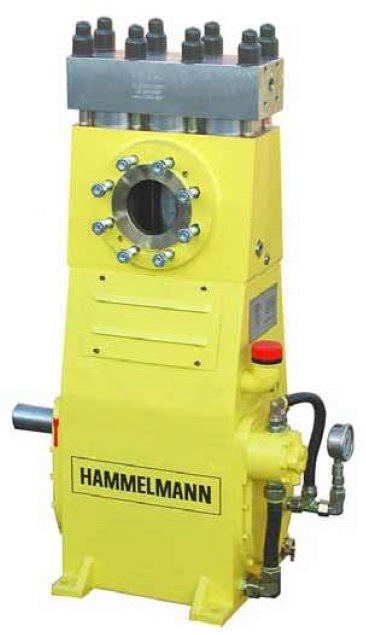 The HDP 120 high pressure pump, with a power rating of 120kW is available in models HDP 122, HDP 123 and HDP 124. The pumps are available skid mounted, containerised or as a trailer unit. 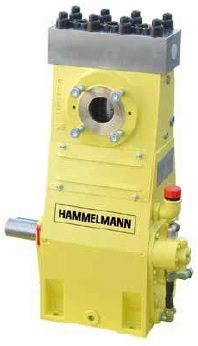 The HDP 70 high pressure pump, with a power rating of 70 kW is available in models HDP 72, HDP 73 and HDP 74. The pumps are available skid mounted, containerised or as a trailer unit. 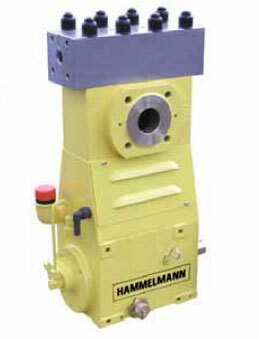 The HDP 40 high pressure pump, with a power rating of 40 kW is available in models HDP 42, HDP 43 and HDP 44. The pumps are available skid mounted and containerised. The HDP 20 high pressure pump, with a power rating of 20 kW is available in models HDP 22, HDP 23 and HDP 24. The pumps are available skid mounted and containerised. 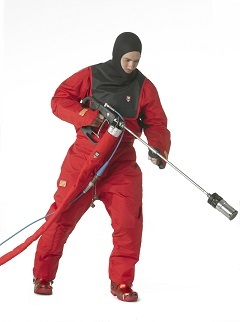 Radio remote controls establish wireless connections between the high pressure pump unit and electrically actuated guns and other blasting tools. Hammelmann tank cleaning heads remove everything from sticky deposits to rock hard scale from the walls of tanks and vessels at pressures up to 1800 bar. 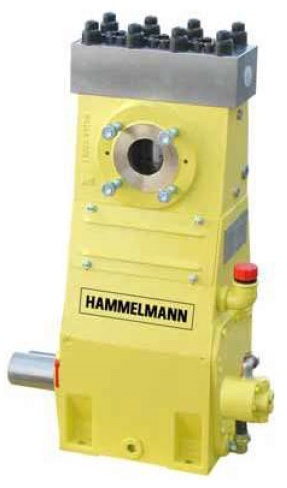 Corrosion resistant pneumatically powered rotary joints are drive and sealing elements for water blasting tools. The pneumatic motor powered rotary joints in the illustrations below are just a few of those in our range.